At Wellesley, women learn to be strategic thinkers who can “read” environments and navigate their challenges. How much of that disciplined thinking may be fostered through a lack of discipline—the freedom to assess and embrace risk and, even, the possibility of failure? The Wellesley College Child Study Center, as part of its 100th anniversary celebration, brings Almon to campus on May 8 for a lecture and Q&A that will explore why encouraging children to engage in risk-taking can help prepare them for life’s challenges. The event, in Diana Chapman Walsh Alumnae Hall at 7 p.m., is free and open to the public. 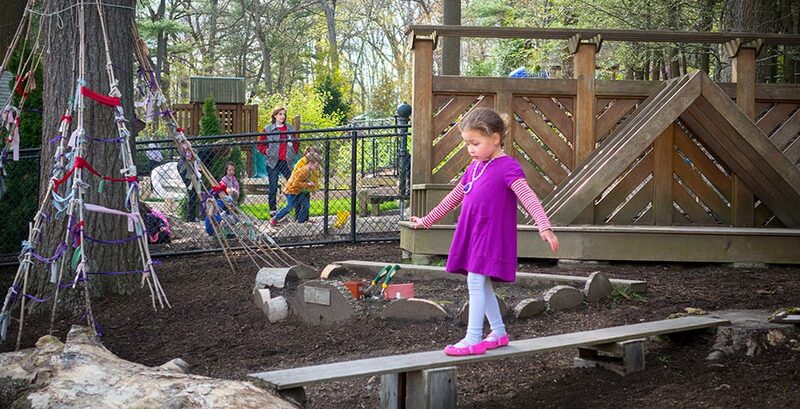 The article profiles The Land, one of the new “adventure playgrounds” that encourage unstructured play. Such play areas often resemble junk yards more than traditional playgrounds, and allow children to explore their environment on their own terms. While not entirely unregulated, the areas are monitored by “play workers,” who rarely intervene in the children’s activities. Almon will describe her observations of The Land and the other adventure playgrounds she has had an opportunity to observe in the United States and United Kingdom. She will also speak from her own 18+ years of experience working with children as a preschool and kindergarten teacher, and will discuss her work with the Alliance for Children, a research organization with a major focus on restoring play in children’s lives, in and out of school. Almon is also the author of Adventure: The Value of Risk in Children’s Play. Guests who are unable to join us at Alumnae Hall are invited to view the talk streaming live at 7 p.m. Founded a century ago, the Child Study Center is one of the country’s leading laboratory nursery schools. Affiliated with Wellesley College’s Department of Psychology, the Child Study Center offers a model preschool program, supports innovative research, and trains teachers, clinicians, and other professionals.